Ros Ford is a painter and printmaker based in Bristol. 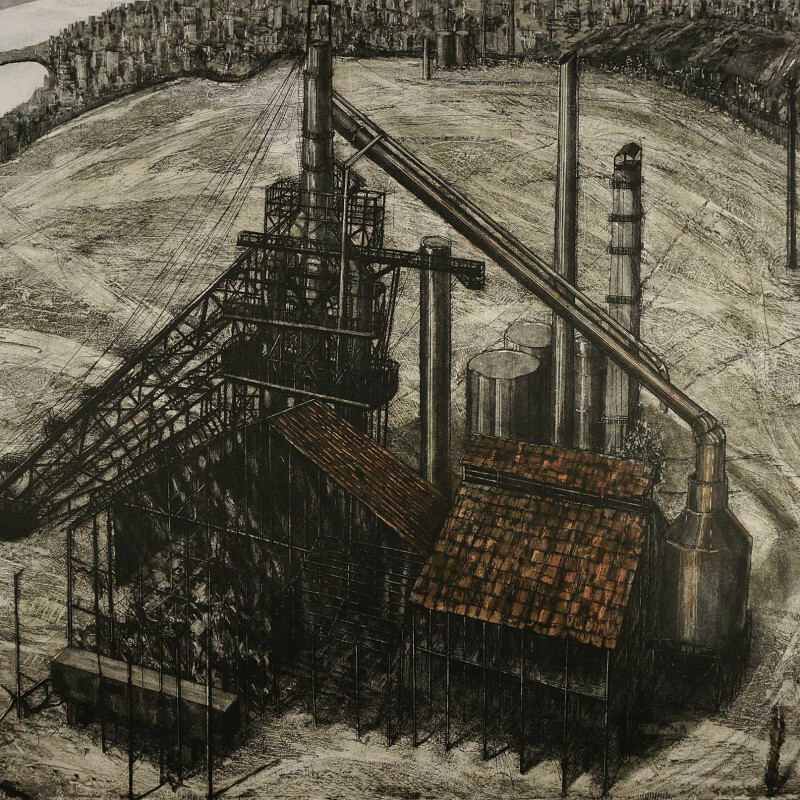 Her recent work is a series of large etchings about the urban landscapes near central Bristol. In these she explores the unordered, the overlooked and sideshows of life. Drawing is central to her work, she likes to work outdoors to research her subject.